I slowly opened up my eyes while stretching my body. My muscles feel so sore and stiff, almost as if I hadn’t moved in days. I turned over to my left side and screamed when I saw a man. But not just any man but a drop-dead gorgeous man, laying on his side facing me. He had blond hair that was slightly disheveled and I couldn’t tell what color his eyes were since they were closed, but he had long, thick, blond eyelashes that trailed down to his cheekbones. His alabaster skin looked smooth and firm, but I ignored my desire, no, my need to touch him. The beautiful sleeping stranger next to me. My eyes wandered from his chiseled face down to his broad shoulders, and my inquisitive gaze trailed down to take in the rest of him. I noticed that he was wearing a black tank top. He looked tall, so tall that his feet ended at the edge of the bed. How did I end up in bed with this man? I looked around and nothing seemed familiar. When I tried to think back to the last thing I remembered I came up blank. What happened to me? Why can’t I remember anything? Where am I? Who is this man sleeping next to me? Who am I? The more I tried to remember the more frustrated and frantic I became. Think, think, think! What’s the last thing I remember?! I was close to hysterics when I heard a noise coming from the man beside me. I turned back to look at him only to find his eyes still closed and him mumbling something I couldn’t understand. It didn’t sound like anything I’d ever heard before but what would I know. All I knew was I couldn’t understand him. “Hello?” I called to him. When he didn’t respond I grabbed his hand but dropped it. It was cold. Too cold. Oh my god, what was wrong with him? Was he dying? Was that why he was in bed with me? Did something happen to the both of us? I was close to crying when he spoke again. “Sookie,” he said. It came out a little more than a whisper. “Sookie? What’s Sookie?” I asked, leaning a little closer to him. Blue-green eyes flashed open and startled me. His look was intense as he stared at my face. I felt a wave of sadness wash over me for a brief moment and then it was gone. It didn’t feel like it was coming from me though. I wasn’t sad. At least not yet. I was too busy freaking out about who I was, where I was, and who this man was. “You’re Sookie,” he said as he lightly touched my cheek with his fingers. I jerked away from his touch. Why was he so cold and why did I feel that sadness again? “I’m Sookie?” I asked. I rolled the name off the tip of my tongue a few times, but it didn’t seem familiar. “Yes,” he mumbled while his eyes fluttered close. Fine? He certainly didn’t seem fine. He couldn’t stay awake to answer my questions and I had so many questions. How did he know he’d be awake in three hours? I cautiously pulled the blanket up to his chin hoping that it would help keep him warm. I didn’t want to disturb him in case he really was sick. Is Sookie my name? He certainly made it seem like it was. I wondered what his name was. I tried to remember, but nothing came. Everything was still blank. I laid back down and stared at the stranger in bed with me for what felt like hours. It wasn’t until my stomach started to growl that I realized that I was starving. When was the last time I ate? Where was the kitchen? Where was I? I made my way out of bed, looking around the room once again. There was hardly any furniture in the room. 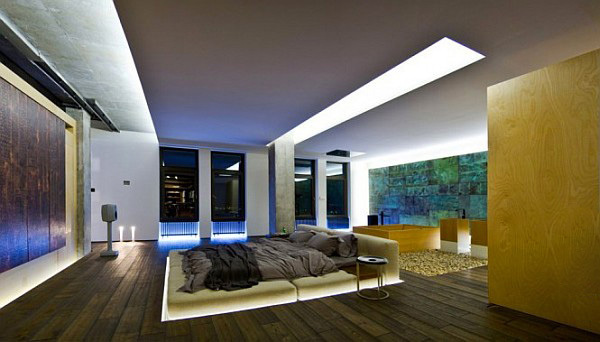 The bed was pretty much on the floor with a light surrounding it. I turned to look at the man laying in bed and his feet stretched out to the edge of the bed. Just how tall was he? There was a little stool looking table on each side of the bed, behind the bed was some wooden looking boxes with faucets and the ground was made out of rocks. Underneath the windows were blue lights helping to light the room. It was hard to see what the rest of the room looked like with the only light coming from the bed and windows, but I didn’t want to find a light right now and wake the man in bed. I walked to my left and it looked to be a bathroom and a huge closet. Neither of which I needed right now so I walked back toward the windows. There looked to be some sort of artwork taking up a large portion of the wall, but I couldn’t get a good look at it. Once by the windows, I saw a door to my left. I did think it was strange that I knew what everything around me was, but not who the man lying in bed was or who I was. I finally found the door and walked up to it, only to find a keypad that lit up once I arrived. Well, I certainly didn’t know the code. Now, what was I going to do? After a few moments of standing there trying to figure out what I was going to do, I saw a note on the wall. This is the code to get downstairs, please take it with you. Without it, you will not be able to come back into the bedroom. Why would I be staying at a place where I needed codes to get around? Was I in danger? Had something happened to me that was so bad that I now couldn’t remember anything? Gathering my courage, I put in the code and the door made a hissing sound when it opened. I sure hope that was normal and I didn’t do anything to break it. Once I stepped through the door, I entered what looked like an office. It didn’t seem normal that you’d leave a bedroom and end up in an office but what did I know. I stepped out of the office onto a landing with stairs going down. It led me to a living room with a big, white sectional with an aquarium above the couch, all in front of a huge TV built into a wall that looked like art with shelving and equipment down below. The kitchen was spacious and modern just like the other rooms I’d seen. 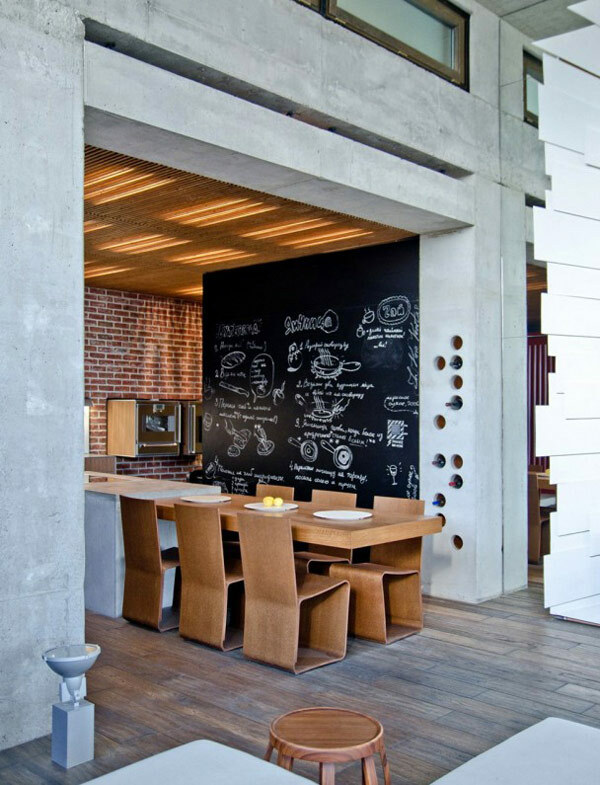 Red bricks adorned the walls and smooth, white concrete countertops wrapped around the room and the stainless steel appliances reflected the recessed lighting. It was all very clean with nothing out of place. There was a large, sturdy oak table with six chairs. With my stomach reminding me just how hungry I was, I opened the fridge to see what I could find to eat. I was pleasantly surprised to see it was was packed with food, but did I even know how to cook? Surely, I knew how to make myself something to eat, but nothing was coming to me once again. It would be horrible if I tried to cook myself something and burned down the house in the process. I decided I wouldn’t risk it at least not right now. I grabbed a banana out of the bowl on the counter and a bottle of water out of the fridge. I walked around the house trying to get myself acquainted with it. I didn’t know why, but for some reason I trusted the gorgeous man upstairs. It was obvious that he trusted me, seeing that he let me sleep in bed with him while he was obviously weak or vulnerable or whatever was wrong with him. Was that why I trusted him? No. It was this feeling deep in my chest… I could trust him. Besides if he wanted to hurt me, he already would have. If he was the one that made me like this, I don’t think he would have been sleeping in the same room with me. I found three more bedrooms, a dining room, laundry room, and a reading area with a bed on the ground. It looked very comfortable and so inviting that I was almost tempted to pluck a book from one of the shelves and lay down on the bed. All of the doors that seemed to lead outside had a keypad by the door. I didn’t know if the code I had worked for those doors or not so, I didn’t try them. I didn’t want an alarm to go off or anything like that. I did take a look outside and saw that I was very high up. I couldn’t tell how high, but it looked like whatever floor we were on, we were in one of the tallest buildings around. There was a deck with lounge chairs with white but comfortable looking cushions, and what looked to be a hot tub in the corner. The entire deck had a wall of glass around it. As I walked around the house, I noticed there were a few pictures or paintings on the wall, but they were all covered with white fabric. Why were they covered? I thought about looking at what was underneath but thought better of it. I didn’t even know where I was and it would be rude to invade someone’s privacy like that. Eventually, I gave into the temptation of the reading room and grabbed The Count of Monte Cristo and sat down on the comfortable bed. I jumped up with a squeak when the man from upstairs startled me. I covered my mouth, embarrassed by the noise. How had I not heard him come into the room? “You’re awake,” I finally said after staring at him for a few minutes. I craned my neck to look up at him. He was tall. Probably a foot taller than myself if I had to guess. He nodded his head and then motioned with his arm for me to follow him. He led us into the living room and I sat down on the large white couch when he stopped in front of it. He stood staring at me for a minute before he sat down next to me. He shifted his body to face me then moved his hands toward me in what seemed like an attempt to hold my hand, but instead he placed his hands in his lap. “You were in a car wreck. A very bad one. We’re lucky that you didn’t die,” he paused looking away with a pained look on his face. I almost died. I guess I should feel lucky that I’m alive even though I can’t remember anything. I felt anger and sadness flash through me. I must have gasped because the man from upstairs quickly turned toward me fast. Almost too fast. “My name’s Eric. 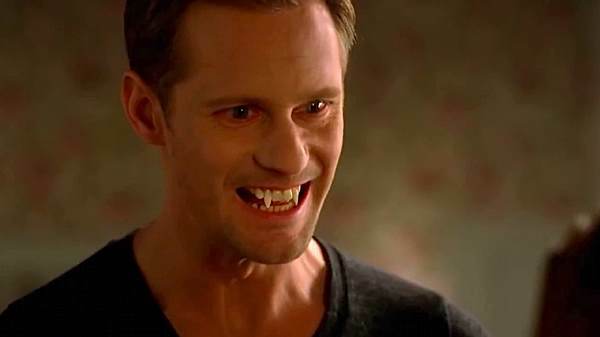 Eric Northman.” I held out my hand to shake his. He looked at it for a moment before shaking my hand. Again, his hand was cold. “Why’s your hand so cold?” I blurted out before I could stop myself. “A vampire. Are you serious? Vampire’s don’t exist. Do they?” Although I couldn’t remember anything, it didn’t seem like vampires would exist. He certainly didn’t seem like a monster. “Out of the coffin?” I asked with an incredulous stare. “It’s the term we used when we revealed our existence to the human world,” he explained. “Right…look, just because your body’s cold doesn’t make you a vampire. It could be your thyroid.” Again how I knew it could possibly be his thyroid I had no clue. This was getting frustrating. “But it’s not. Don’t worry, I won’t hurt you,” he said giving me a stunning smile. “I’m not worried. For some reason, I trust you, but maybe I shouldn’t; you might be crazy.” It was strange, but I did feel as if I could trust him. If what he said about the accident was true and he brought me to his home. This …. Eric must want to keep me safe and I must mean something to him. He smiled and it was such a nice smile it made me smile back at him, but inside I wanted to melt. He had looked so serious since he came downstairs that it was nice to see him happy. “Prove to me you’re a vampire,” I said. He arched an eyebrow and a small lazy grin played on his lips. I nodded my head. “Go for it,” I said. The only person I knew was crazy. Great. I heard a clicking sound and then fangs appeared in Eric’s mouth. Fangs! Was he really a vampire? I reached out and touched one of them while tilting my head, as I got closer to try to get a better look at them. “Wow,” was all I could say. When I touched the other, I noticed that Eric closed his eyes. I jerked my hand back. How rude was it that I was touching him in that way? He smiled and I froze under the heat of his intense gaze. “I don’t mind. You’re curious.” I watched with fascination as his fangs slowly disappeared. My heart skipped a beat as he slowly started to lean closer to me. “You can touch me whenever and wherever you like, Sookie,” he purred at me. I gasped and stared at him in disbelief as the scorching heat of my blush stained my face and neck. He chuckled and leaned back, never moving his eyes from mine. “So h-how do vampires differ from humans?” I stuttered, trying to regain my composure. He looked over at me. Maybe judging how I was taking the news of the existence of vampires, that they drank blood and that he was one. It didn’t really matter to me. I couldn’t remember anyone. He seemed nice to me, so far. “I’m sure you can find someone else who would be happy to give you their blood. You’re a good looking guy and all.” I blushed looking away. I couldn’t believe I had just said that aloud. He gave me a sad smile before looking away once again. Did I do something to hurt his feelings? “Is there a reason that you don’t or can’t?” I asked him. He was still looking away and it made me feel guilty that I’d said something to upset him. “Hey,” I said as I moved closer to him and taking his large, cool hand in mine. He looked down at the hand I was holding so I tried to move it. Afraid that I’d overstepped my boundaries, but as I started to pull away, he grasped it in both of his hands and then looked at me. “I can. I just won’t. I will drink True Blood,” he grimaced. “What was that look for?” I asked. Eric nodded his head and I glanced down at my bare hands. 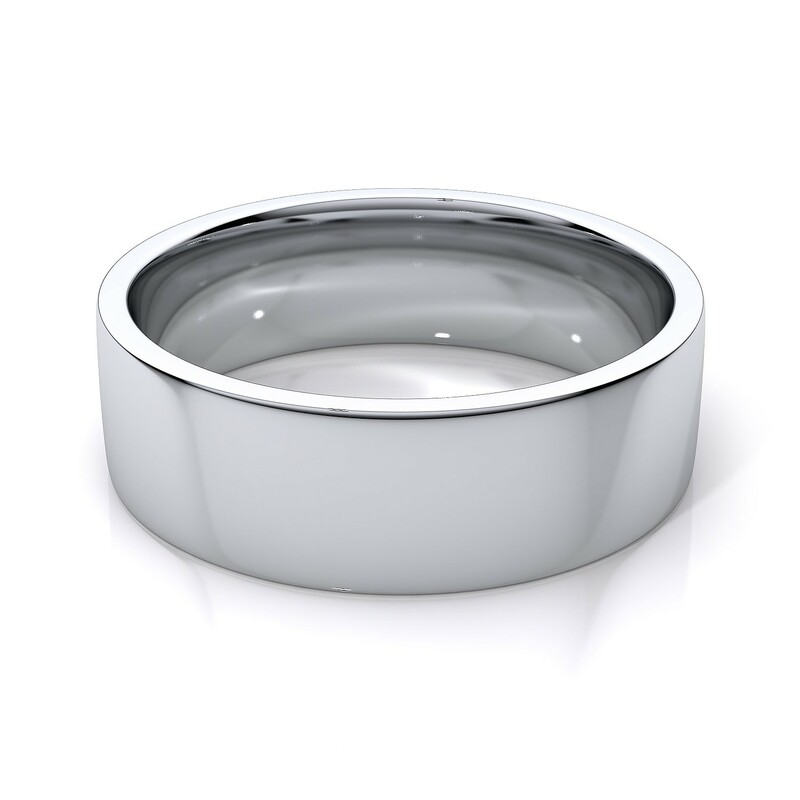 If we were married I’d have a wedding ring, right? Can vampires even get married? When I nodded my head, he left the room so quickly that I didn’t even see him. Was this because he was a vampire or was there something else wrong with me? He was back in a matter of moments and sat back down beside me. “Can I put them on you?” he asked. 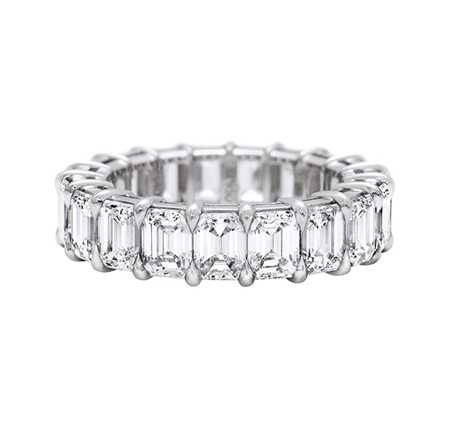 I held out my hand to him and watched as he slipped a silver wedding ring with square diamonds all around it, on my finger first and then the engagement ring. It had a square diamond in the middle with two red stones on either side. It was beautiful and the way they sparkled in the light made it even more so. “Then yes, silver wedding rings would be a bad idea. 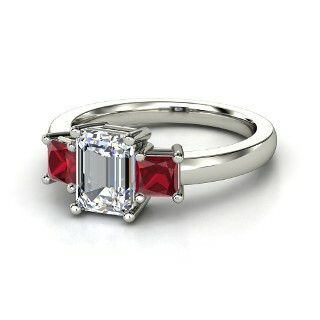 I really like the platinum, diamond, and rubies,” I said while admiring my rings. I just smiled at him. I didn’t know what to say or do. Here I was married to this gorgeous man and I couldn’t even remember him. I wondered what this was like for him, his wife having no clue who he was. I nodded my head and looked down at my fidgeting fingers in my lap as I tried to comprehend everything he’d said. He was a vampire. I was his wife with no recollection of anything beyond this night. I lifted my gaze to find Eric watching me and I couldn’t help but notice how… young he looked. “How old were you when you were turned into a vampire?” I asked, extremely curious about this beautiful man or vampire that claimed to be my husband. I sat there for a few minutes letting all the information I was just given, run through my head. Trying to see if any of it felt familiar, but it didn’t and maybe it never would. All of a sudden, my stomach let out an embarrassing growl. It was so loud that Eric looked at me shocked. “Just a banana and water,” I confessed. “I didn’t know if I knew how to cook and was afraid, I might burn down this place. Plus, I haven’t been awake that long,” I said and shrugged. Eric walked to the fridge and peered inside before grabbing ingredients and setting them down on the counter. “I’ll make you a sandwich. I’m sorry I’m not much of a cook since I haven’t eaten any human food in over a thousand years, but I do know what your preferences are when it comes to your sandwiches,” he said proudly. I stood and watched what he put on my sandwich so I would be able to make myself one tomorrow. After he was done making the sandwich, he got me a bag of chips and a can of Coke out of the fridge. He also got himself a True Blood and placed it in the microwave to heat it. We sat at the kitchen table both having our meals. If you wanted to call it that. “And we have this bond?” I inquired. “So what are we going to do now?” I asked as I looked over at him and saw the raw determination in his eyes, Eric gave me a beautiful, seductive smile. 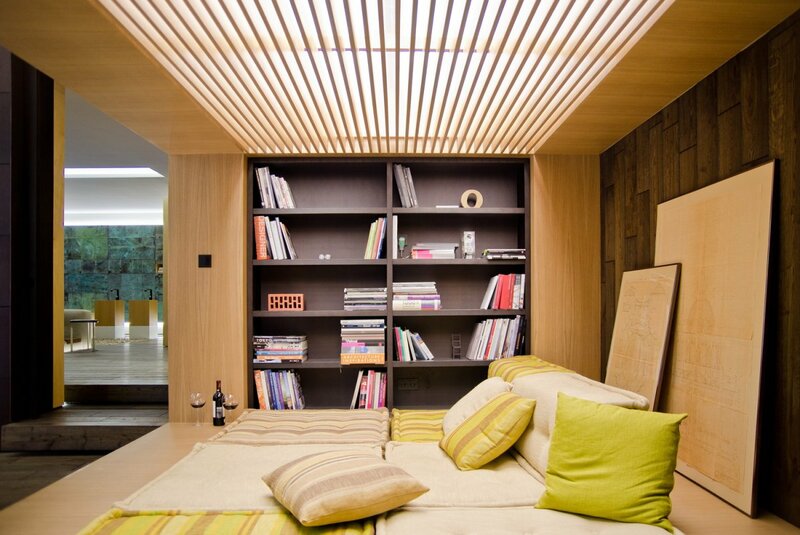 Below is a Gallery of their loft. I love stories where Sookie doesn’t remember but this is so much more interesting due to how developed their relationship is. I like that she isn’t all shouty and petulant with Eric, and he is just adorable. The apartment is just – wow and very Scandinavian chic. Sookie doesn’t even know who she is so there will be no shouty Sookie. In my stories you’re not going to see the relationship of Eric and Sookie be anything like the books or tv show. I like them making good decisions and communicating. 🙂 The loft was my dad’s idea. He thought Eric would live in something like this. Even SVM Eric. We had to agree to disagree on that. Although he doesn’t know anything about the books, only True Blood. You gave them a very impressive home. I love the idea of him making her fall in love with her all over again. Because we all know he will succeed, how can she not come to love him? And I’m really excited to hear you are going to write more on your response to the book from hell. When I first was writing this story Eric was going to be from SVM. I was trying to find pictures for their house and was having no luck. My dad is an interior decorator so I asked him. He didn’t like what I was choosing for Eric. My dad only knows TB Eric and even as I read what Eric’s living room looks like from the books, he totally disagreed. He thought Eric would live in an industrial type loft. 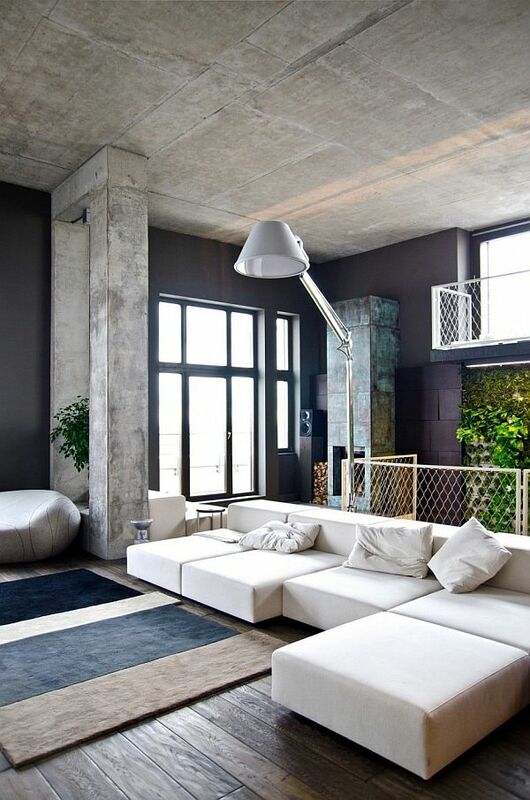 So I searched, found this awesome loft in Kiev, and fell in love with it. It’s so different and cool. Love it so far. Looking forward to the next chapter! Wow! This story is amazing so far! I’m hooked! Loved the pictures you added to the story, it really helps with getting into the whole mindset of the story. Can’t wait for chapter 2! Thank you so much! I really like what the pictures do for the story. It will have a lot of pictures throughout. Ok, I succumbed to temptation even though I’m so tired my eyes are crossing, and I’m so glad I did! I love this Sookie – she has every reason to be freaking out all over the place but she’s being calm, cool, and collected. I love how she’s instinctively trusting the bond, too. And this Eric is awesome, too. I love how he’s so patient, open, and honest with her. What a great first chapter! I’m so excited to read more! 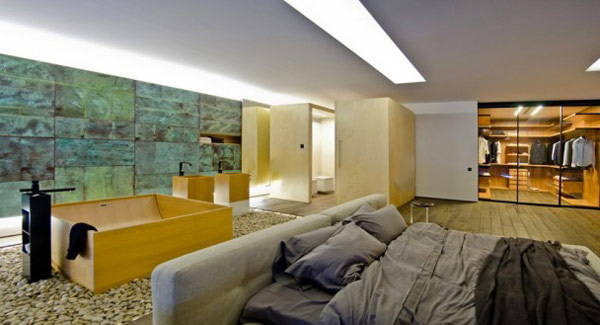 I also love all the fabulous pictures, I can totally see TB Eric (my fav) living in a place like this. Can’t wait for more! My dad will be happy that he was on the mark about where Eric would live. Thank you for reading and commenting. I’ll be posting chapter 2 of My Dead Ever After next week, but I’ll post the second chapter to Lover’s Amnesia in two weeks. Great start…I totally love their place. I love that Eric is going to make her fall in love with him again. Too sweet. First off, the loft is beyond beautiful. It fits Eric so well and is beyond gorgeous, I love it. I like that Sookie knows somehow that she can trust him. I like the timeline of the story that they are married and have been for a while. I wonder if Sookie’s memory will come back in pieces? Sookie is cute with her reactions to Eric’s explanations. This story is going to be so much fun. Thank you! The loft is awesome! I love the master bedroom and reading nook too. Great first chapter! Can’t wait for more! Thanks for sharing. Okay, I have to admit I don’t like their house at all. It’s way too cold and impersonal, and in some places even weird (Are those plants/grass growing on a fenced wall in the livingroom?!) for my liking. But I’m LOVING the story so far and I can’t wait to read more! The pictures really enhance the story. Wish I lived there. Impressed with this story. Like stories where Sookie is not so loud & impulsive. Looking forward to reading more of your story. Poor Sookie doesn’t remember how mad she’d be if Eric drank from someone else. I’m so proud of him for saying he’ll drink True Blood when amnesia Sookie told him to drink from someone else. I hope he lets her see the pictures of them and their happy life that are covered on the walls! She married him 2 years before the reveal in your story! This is exciting! Thank you! You’ll see the pictures eventually. I wanted the story to be different. Hmmm…so she’s going to get better? You’re not going to go all “50 First Dates’ on us where she loses her memory when she goes to sleep? 🙂 Great start. And I have to agree with your dad –the lines are strong and very “industrial” –I would expect this appeals to the Scandanavian in Eric — Can’t wait to see how our Eric woos his Sookie…again…. For this story sake, the windows have special UV filters and there are also light tight shutters for the whole place. He’s safe. Just not underground. I can’t wait to see what you write next, do you have a time line on when you will be posting your following chapters. I plan to post every Friday. Right now I have two stories going on and I’ll be switching back and forth. My Dead Ever After will be short though so once it’s finished I’ll be posting only Lover’s Amnesia every week. Off to a stellar beginning on this one! I love the loft, and for some reason, I can imagine Eric living in just such an environment. It’s very open much like I’ve read of the long houses inhabited by the Norse or original Scandinavians with very current interior designing seeming to reflect the Eric character; nothing but the best for the Viking! With the loft being in an apparent skyscraper, it puts him at an advantage over his foes, I’d think, while giving him the added advantage of flying away without appearing to have left the building! Sly ol’ vampire! Well done! The premise of the story is great with the twist on the amnesia plot. I’ve read other fics with Sookie having amnesia, but this is an interesting difference with them being married for a somewhat lengthy time already. Eric’s confident comment (does he really have any other kind?) that he’ll make her fall in love with him all over again is an absolute certainty. He IS Eric, after all. Can’t wait to get onto Chapter Two! I love all your stories and I’m sure this will be another winner! I never thought about his advantage of leaving the building unseen. It was my dad’s idea for them to live in a loft and when he saw the pictures he feel in love. I wanted this story to be different. I like amnesia stories but I hate when the character ends up doing something during that period that makes them break up for awhile. Eric and Sookie being married definitely changes it up some. Thank you for your vote of confidence and I’m so happy that you love my stories! I’m just starting this story and I love it! Eric’s loft is gorgeous! Wow! I can’t wait to see how Eric woos his Sookie. I wonder when she will regain her memories. Great start! When I started writing this story I wanted it to have a lot of pictures. I was looking for something totally different and asked my dad where I could look to find them since he’s an interior decorator. He totally disagreed with what I wanted and said that he thought Eric would live in an industrial loft(he only knows TB Eric and didn’t like the description of SVM Eric’s house). 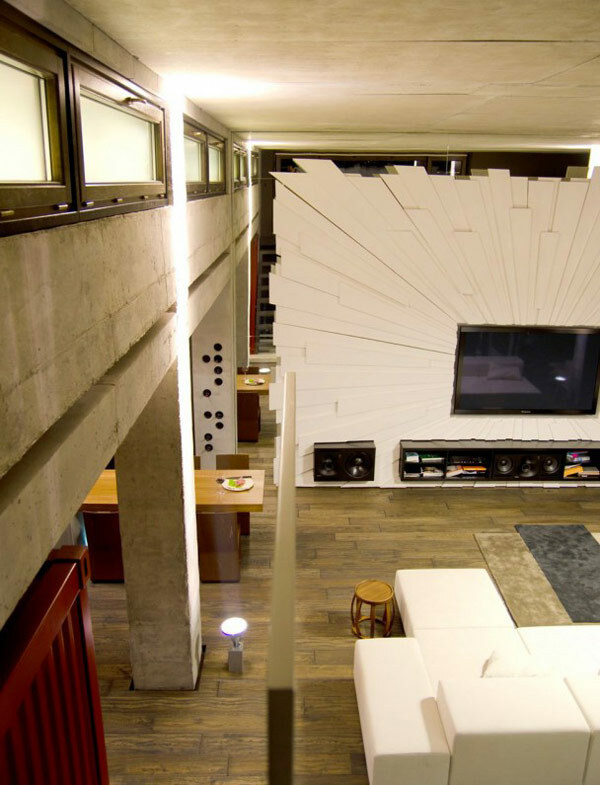 So I was off searching for a loft and found this one in Kiev and fell in love with it. It’s so awesome! Really? That’s awesome! Thank you! I’m so glad you found it and are liking it. I hope to have chapter 3 out soon.